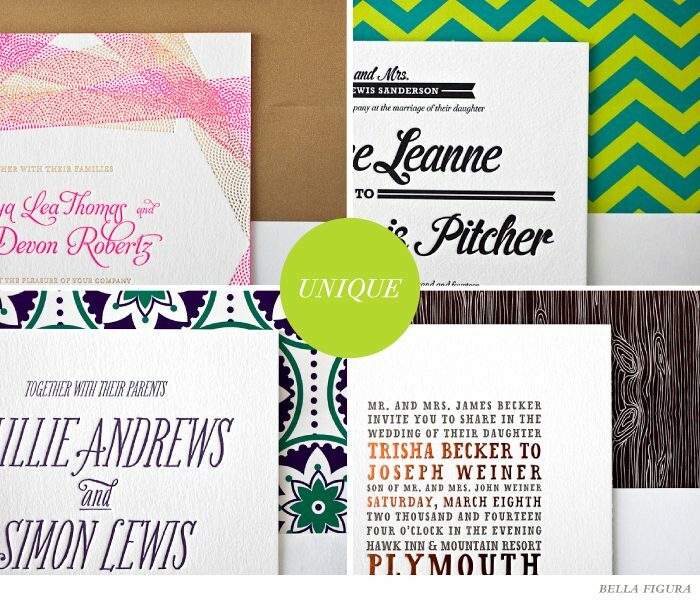 Fonts play a significant role in the overall look of your letterpress wedding invitations. They add personality and style and really reflect the mood of your event! Because choosing the perfect font for your wedding is so important, we know it can sometimes feel overwhelming with all the amazing options we offer, but here are some helpful tips to guide you in choosing the perfect font to match your style. If you like the Modern look: We suggest fonts that have sleek, clean lines. Nothing too fussy or fancy. Simplicity is always key. 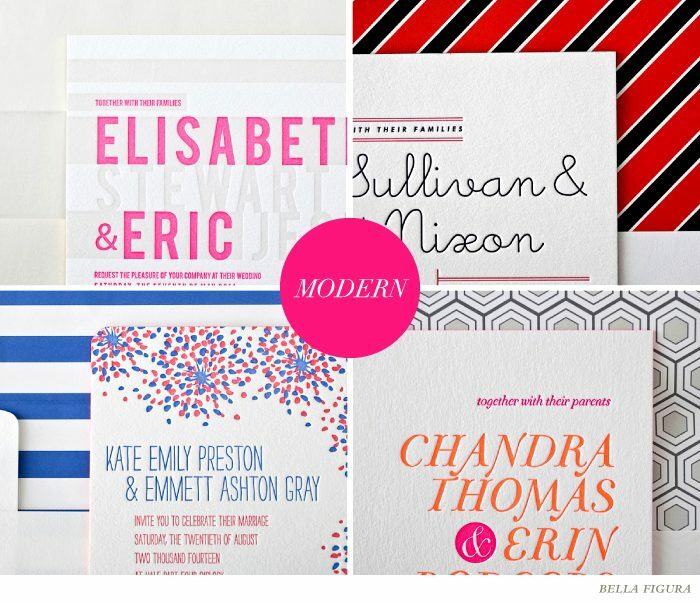 Scale these chic fonts up in size to make a bold, graphic and attention grabbing statement! 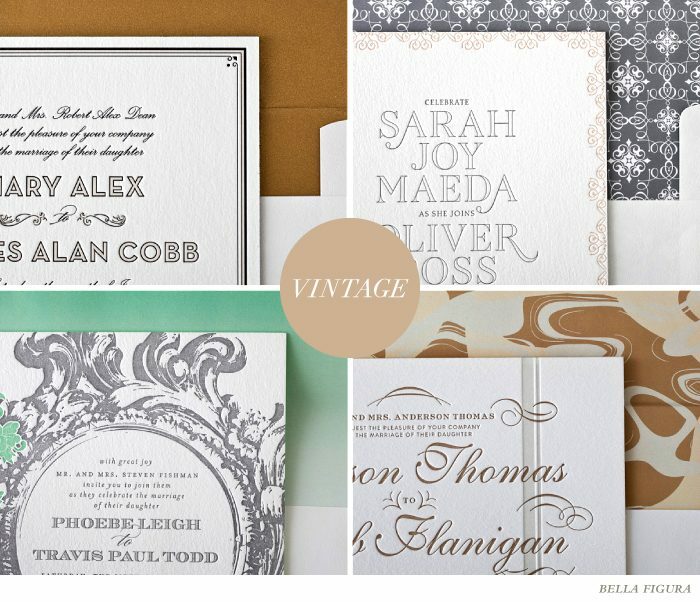 If you like the Vintage look: We suggest fonts that have a wise and worldly appeal. Slightly quirky and full of character to convey days of old. To achieve the perfect vintage vibe, we love to combine several fonts together to create an eclectic look that will last for ages. Elegant script fonts paired with traditional Serif styles tend to tug at our heartstrings the most! 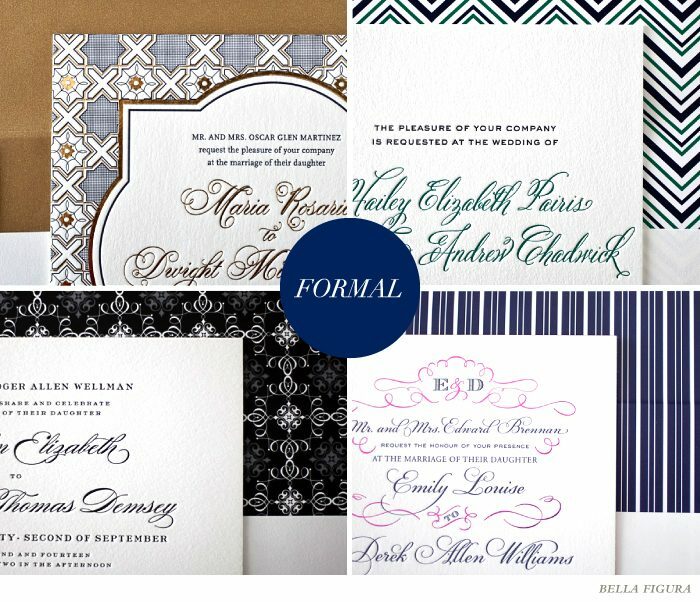 If you like the Formal look: We suggest elegant and traditional fonts that will never go out of style. Think Script fonts with big swash capitals reminiscent of the finest hand calligraphy or formal Serifs with straight lines and regal form. We love to pair them together to create a sophisticated style that will surely charm all of your guests! If you like the Unique look: We suggest fun and funky trendsetting fonts without a care in the world. But they aren’t for the faint of heart! Think cute and quirky accents, swirling lines and swaying shapes. These whimsical fonts really steal the stage so they work best when paired with simple and sleek design elements that don’t mind being upstaged! 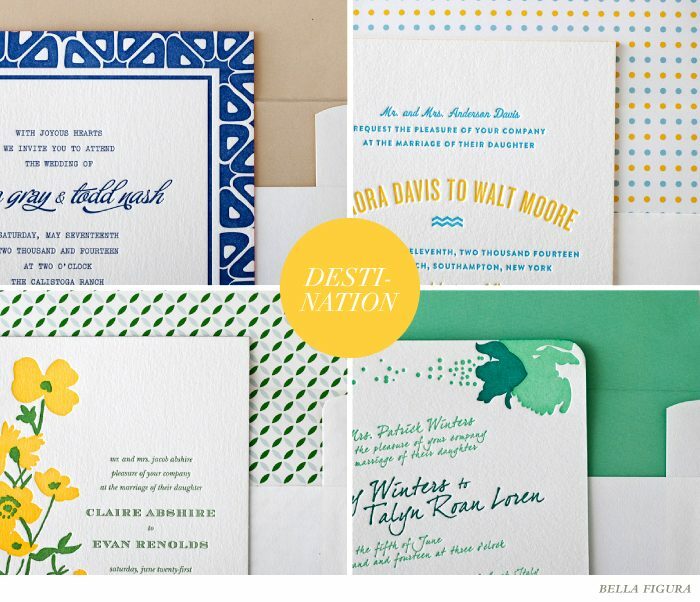 If you like the Destination look: We suggest fonts that reflect your exotic or unique location. Flourished and formal fonts work well for elaborate Indian or Moroccan destination designs, whereas simple and chic San Serifs set the mood for a casual beach side soirée. To see all the fonts we have to offer, please check out our font library. Still have questions? Ask away — we’re always happy to help!